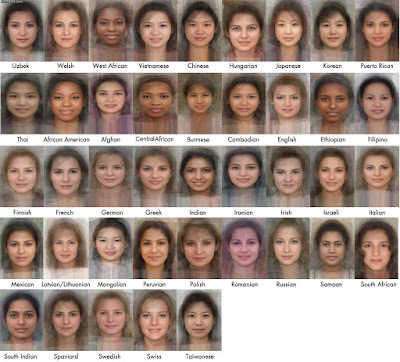 Here are the "average" faces from around the world. If they didn't nail it, I think they got damn close. It's surprisingly accurate, exactly my interpretation anyway. Pretty harsh stereotyping though haha. If you have one for men I'd like to see it. 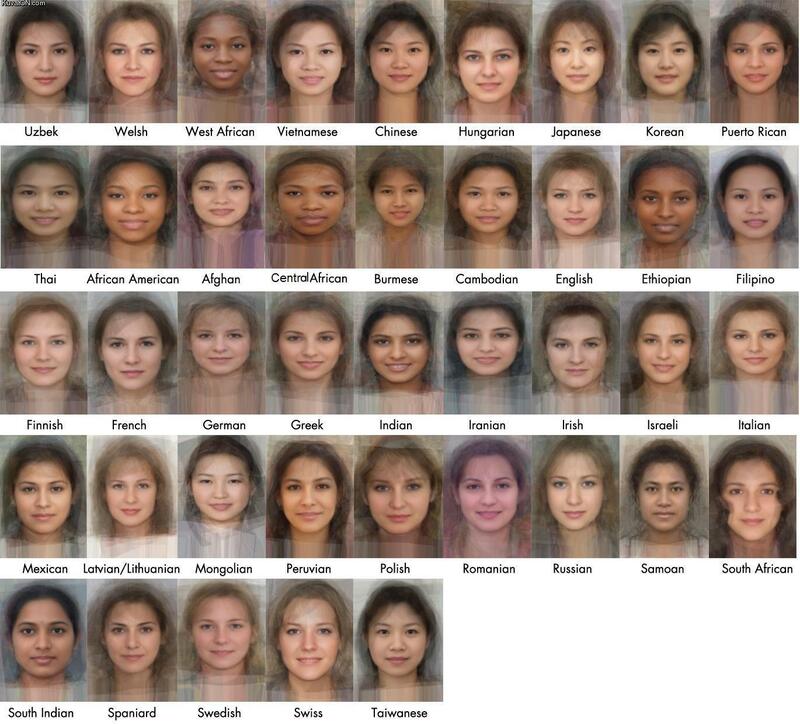 It's really interesting to view this, I tried to cover up where they are from and guess.. but it didn't go too well.